> Close Reading > Close Read Passages > She Isn't Me! 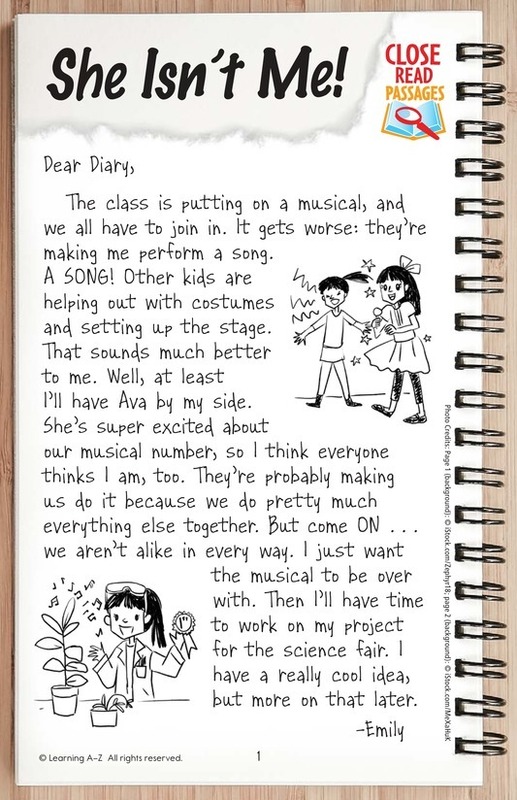 Twins Emily and Ava are asked to perform a song together in the class musical. It's Ava's dream come true, but Emily is dreading it. Why does everyone keep treating the girls as if they are the same person?